Ah, Water! The natural habitat of the Orange Waterbaby. On Saturday 9 Feb we flew from a cool and rainy Cape Town to Durban where it seemed they had the heaters on! Thank goodness for air conditioned cars. We picked up our rental steed and pointed its nose towards Howick, home of the annual Midmar Mile. For those not familiar with the local open water swimming scene: the Midmar Mile a 1,650m swim across a section of the Midmar Dam. 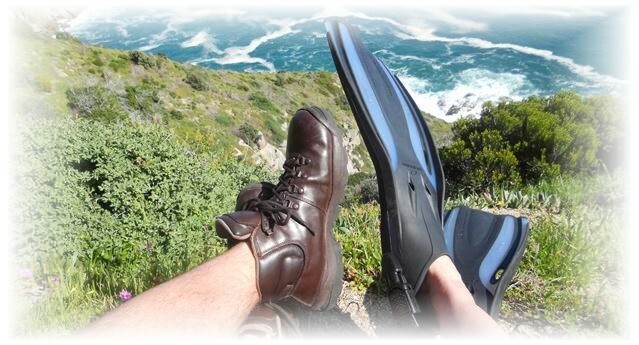 It is to swimming what the Comrades Marathon is to road running and the Cape Argus to cycling. These three South African sporting events are the largest of their type in the world. This year Midmar had in excess 18,000 entries and 14,700 finishers. Comrades has had around 11,000 finishers in the last few years, and the Argus is the granddaddy of the three with over 31,000 finishers in 2012. 2013 is the 40th year that the Midmar Mile has been held. Midmar Dam, Sunday 10 Feb 2013. My event is on the Sunday morning. The weather was hot but perfect on the Saturday afternoon when we arrived, but Sunday dawns overcast and gloomy despite the heat and humidity. It even looks like it might rain, but we are there to get wet anyway. At least there is only a breeze blowing and the water is reasonably calm, not the rocking and rolling experience of my very first Midmar three years ago but still a slight chop. 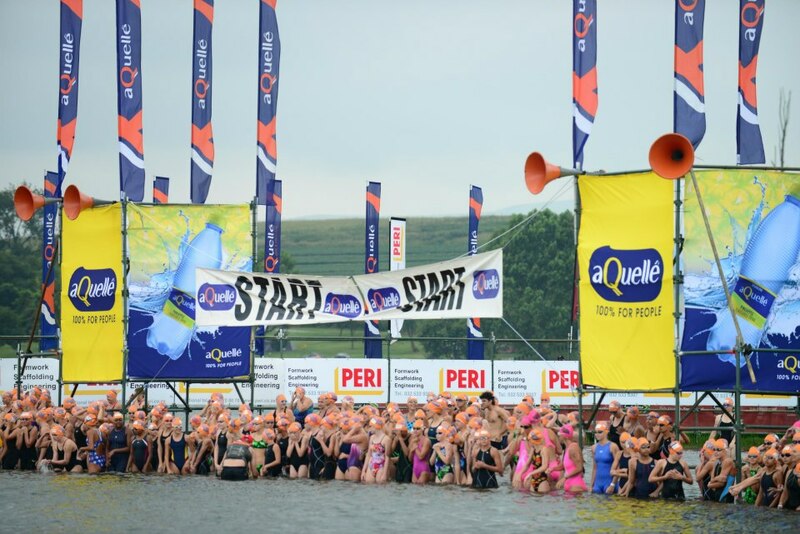 The Midmar Mile is so big that the swim is split into 8 sub-events (age categories and team events) over 2 days. Each sub-event is again divided into 5 starting batches. With the growth of the event over the last few years even these sub-divided batches get quite big, and the start of the race becomes a foaming mess of flailing arms and legs. Kicks and slaps are traded and bodies crash into each other over the course of the first 400m. 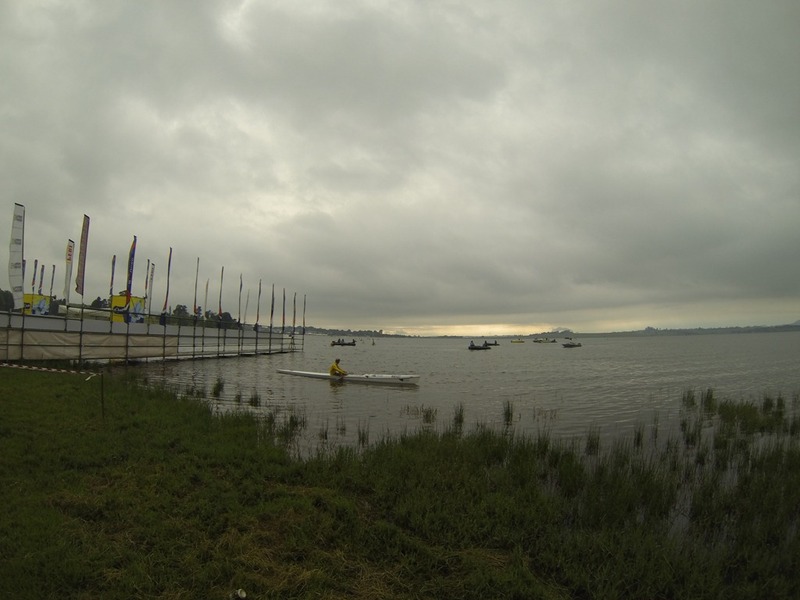 Large amounts of Midmar water get ingested. After that the field spreads out a bit and one can swim with only the occasional collision. Closer to the end however, the swimmers come together again as we all aim for the relatively small target that is the finish line. At this stage the unsuspecting swimmer also has to contend with tiring contestants who suddenly stop without warning, not unlike minibus taxis. What I have discovered is that, despite having taken part in quite a few open water swims, I get no better at judging distances. Somewhere after the last buoy I squint towards the finish banner and conclude I have about 100m to go. (I won’t mention that I was aiming for the wrong exit point in the first place – that would be embarrassing). To cover the last 100m should take just under 2 minutes. Unbelievably, despite my terrible first 400m fighting through the crowd I can still make a Midmar personal best! 2 minutes pass and still 100m to go. Huh? OK, my time still won’t be too bad. I should be there by now, but as I try to get my eyes to focus there STILL seems to be 100m to go. This is getting ridiculous. I stop looking up and just swim until my fingertips touch the bottom. That was the longest 100 metres of my entire swimming career. I stumble out of the water. Significant Other is finds me clutching my medal and sporting a wide grin.